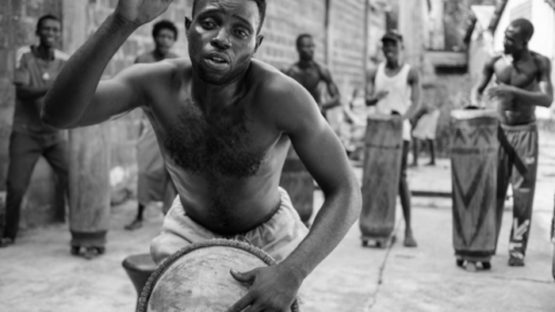 Beta Mbonda is a percussion band in Kinshasa, consisting of young people with a delinquent past (so-called “kulunas”) who decided to change their lives and to focus on their passion: traditional Congolese music. They play traditional instruments like the “madimba” (traditional xylophone), the“lokombes” or the “deditumba” (drums from the Kasai). These have become rare instruments in Kinshasa. In 2015, 10 members from Beta Mbonda received training by traditional Congolese instrument makers to maintain their instruments and build new ones. 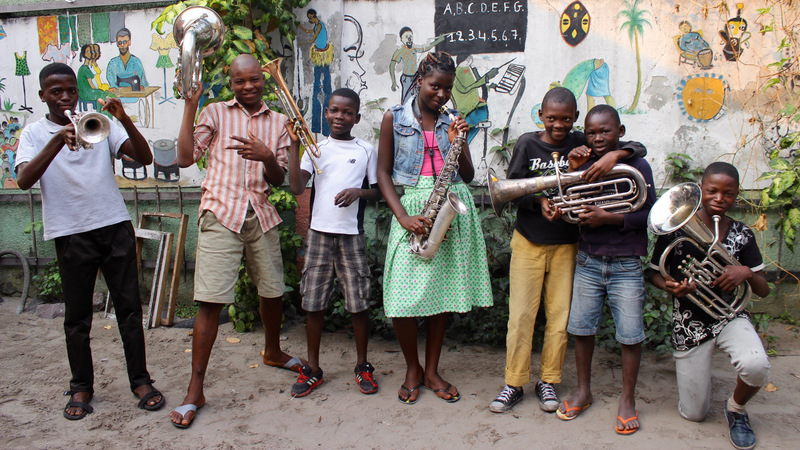 Music Fund aims to reestablish the production of traditional instruments in Kinshasa by training repair technicians and instrument makers for those kind of instruments. The Espace Masolo is popular in Kinshasa. It is a structure offering shelter and ensuring a supervision for kids and young people lacking a family framework. Some have been accused of sorcery. Espace Masolo organises training in various artistical activities: sewing, theatre, music, … The objective is to help put these children back on track through art. The center has had a brass band since 2009. Music Fund set up a repair workshop within the premises of the Espace Masolo in Masina. Music Fund also provided instruments and took part in the training of various repair techicians. One of these, Lyve Mando Mengi, came to Marche-en- Famenne in 2017 for more advanced training. 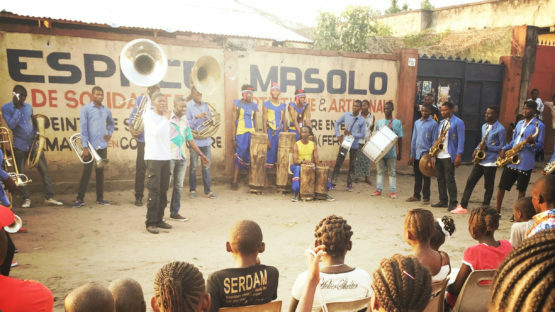 In 2018 Espace Masolo moved to a new location in Ndjili. At the new location, Music Fund assisted in re-establishing the workshop and offered an advanced training to Mando and his students. The INA is a University College with about 1500 students. In the past, The INA played a leading role in Africa: students from all over DRC, from neighboring countries but also from more distant countries such as South Africa came to study there. But the INA faced many problems due to the loss of stability in the country and to the lack of financing. Since 2007, Music Fund has a partnership with the INA. Beside the donations of instruments (which, to date, are being intensively used), several repair technicians for wind instruments, pianos and guitars have been trained. Nowadays, the contact between Music Fund and the INA is less strong. Ndaro Culture is a cultural association working for the well-being of artists (notably in the eastern part of DR Congo) and for the socio-cultural integration of children facing difficult situations. They have been using music for this purpose since 2010. The Eastern part of Congo has been marked by various conflicts since 1997 and the city of Bukavu as well as its surroundings are no exceptions. Thomas Lusango, the founder of Ndaro, and his staff developed what really is the first cultural center in Bukavu (a city of almost 2 million people). Different courses are offered where students can learn to play a wide variety of instruments. Ndaro mainly aims its actions at vulnerable people: children living on the streets, former child soldiers, children from families with very limited income. At Ndaro, they can learn from more or less established musicians. But Bukavu and the eastern part of the country are still much less “spoiled” when it comes to having access to instruments than Kinshasa. In 2017 Music Fund and Ndaro Culture started a 3-year collaboration with the support of of the Congolese Trust Merchant Bank and the Institut français of Bukavu.Two expert repair technicians (one of them being Lyve Mando Mengi who was trained by Music Fund in Kinshasa) delivered the first training on the maintenance techniques for both guitars and wind-instruments. Furthermore, a shipment of 180 instruments (notably pianos, violins and the first wind-instruments in Bukavu) arrived at Ndaro. 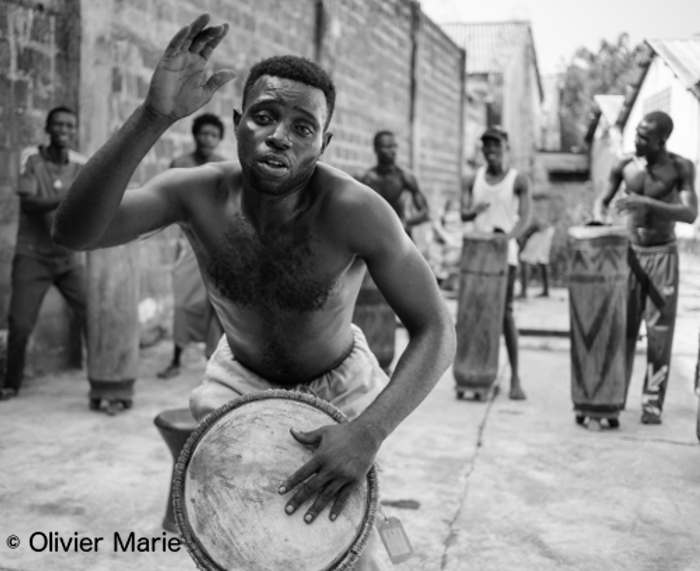 In 2018, Music Fund continued this project and collaboration through the organisation of 4 trainings sessions: one mission for a guitar maker and one for a cello maker, a 2nd mission for Lyve Mando Mengi (wind-instruments) and a first mission for Serge Tabu, piano tuner from Kinshasa. Music Funds hopes in this way to expand and enlarge the project to the whole region of the Great Lakes. Our ambition is to open our trainings also to artists from Uvira and Goma. In this way, Bukavu can become the main repair center in the region (Rwanda and Burundi included). 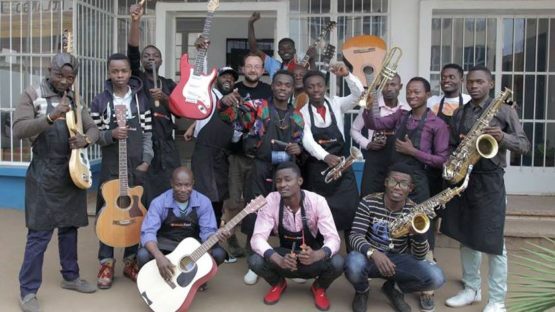 The latest news from Music Fund in Bukavu (in French).